Teacher since 1999. He had worked as a teacher of educational computing for more than 4 years, and as a trainer of the Ceibal Center since 2009. 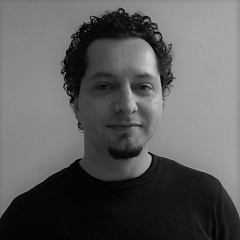 From 2010 he worked as a teacher trainig Coordinator at Ceibal Center with more than 20 trainers in his position and as Educational Consultant of the Center in the consultancy that was developed and carried out in Armenia in 2010-2012. In 2010 he started working on a project in the CFE (Education Training Council) to train teachers across the country in the didactic use of technology in education. In 2013 he started to work as an international postgraduate tutor for CFE - Plan Ceibal - University of Cambridge. Currently is the General Coordinator of the Department of Digital Technologies and Education in CFE.